If you want to earn some more work on fiverr and earn good money from the internet. There are many ways to do so. I listed some of them right here. 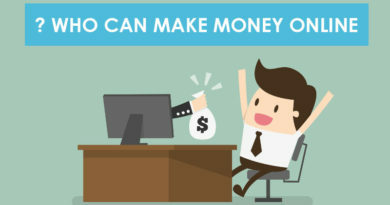 And one of the best ways of earning money is to start doing freelancing. Freelancing is the term used for people who work on the internet for other people. Like me developing a website for some client. I am a freelancer and working for my client. People are making thousands of dollars each month by doing freelancing. Now it depends on which category you are expert in. If you are really good at web development or programming. You can start a programming career right away. If you are good at graphic designing. You are ready to start. Many categories are there for you to start your online career. Now as you know what is freelancing and you are eligible to start your online career. Let’s see HOW? 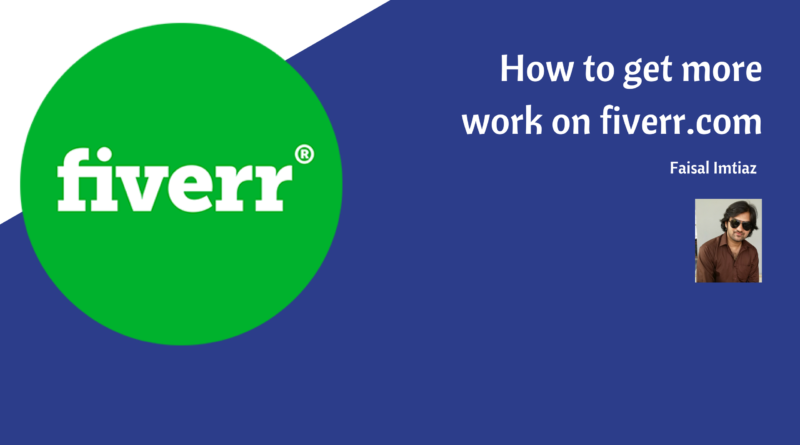 In this article I am going to describe fiverr and how you can get more work on Fiverr. Enough of introduction let’s see how exactly Fiverr works and how can you get more clients attracts toward your profile. People get registered in fiverr.com and create their services that they can offer to people. In the fiverr world, you can call it GIG. SO people signup and create gigs that represent their services at any rate. Let’s suppose you are good at web development. And you are going to create a GIG in Fiverr. You will say “I will add real time chat functionality in your website” at 50$. Moreover, you will have to describe some more detail description about your gig. Setup a picture for your gig and Publish that gig. It’s DONE. And published on the fiverr.com website and available to purchase. Now whoever is interested in your gig he/she will order you a gig or purchase your gig at the price of 50$ (because you mentioned). That’s how Fiverr works. It’s pretty straight forward. Isn’t it? How to get more work on fiverr? I have been working on Fiverr from last 4 years. You can see my profile my going through this link. What I have experienced and learned in all these years. I will share some tricks and tips for all of the newbies or advanced level freelancers. Let’s begin. Did you hear about the word SEO before? If not you should know. SEO stands for search engine optimization. How SEO is everywhere. Whatever is on the internet? 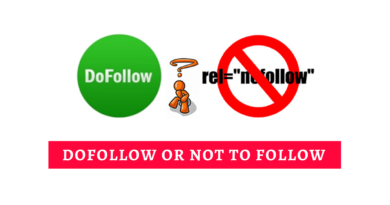 It needs to be search engine friendly in order to get noticed. The World’s biggest search engine is Google. Our mission should be using more targeted keywords inside your Fiverr gig title, tags, and description that have more searched. Now you must be thinking how can you get highly searched keywords? The answer is you can use a service provided by Google itself that is Google Adwords. It will tell you exactly which keyword is searched how many times. What is its searched average and allot of useful stuff like that? For example. Your gig is about web development. Search in google Adword about the keyword “Web development”. Examine the result given by adword and then prefer that keyword inside your title and description. Use focus keywords at both places (gig title and gig description).If you do it properly this will dramatically increase your search engine rating. Indirectly you will get more views on Fiverr and get noticed more often by all Fiverr buyers. Use vector based picture when you are choosing your Gig picture.The study shows vector based images are more liked or gets more attention of the eye. It is more eye catchy. So try to use a vector based image with the color of good contrast. This way you will get a quick attention of the buyer. Even without reading your gig title. So whenever a buyer contacts you through fiverr inbox. Use a signature in response. Now what does this mean? Glad to see you here. Let me know how I can help you in this project. Use a format like this. This will leave a good impression at the client and makes you look more professional. Send offers on buyer requests on regular basis. And use the same signature format that I described above in your offer description. You will be amazed to see the response of clients. Clients want attention of the person who they are going to buy services of. If you give them quick and accurate message in response. They will definably contact you again. Share your gig on social networks like fiverr, google plus and twitter. Share your gig URL everywhere where you think its good to share. Whoever clicks and open your gig nce even if they purchase or not. That gig will automatically save its cookie into their browser. And then faceook use that cookie to show ads on that user facebook profile. So facebook will keep remind him that you opened a gig of fiverr do you want to purchase. This way you increase your chances of get purchased by 200 times. Place a short and sweet introductory video at you gig preview. According to fiverr it will 60 times. Use a simple software like Video Maker FX. And create a cool 30 seconds video for your gig and you are ready to rock. Video does not required to be something extra ordinary. Just describing your service in video text is enough. If you are not camera shy and can face camera easily. Prefer to make a short video of yourself describing about the gig.